Google Fibbing? Nah, Just Misleading Us As Usual. The S.I.A. Breaks Long Standing Page Load Speed Myth. 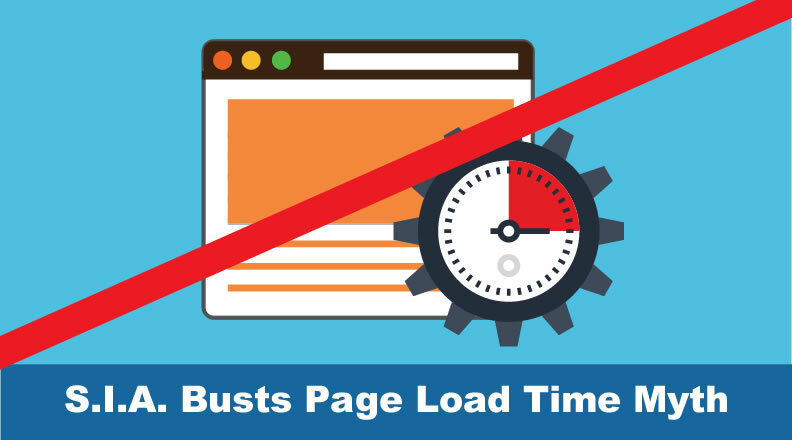 In 2010, Google told us that page speed is a ranking factor and led us to believe that page load time is what Google is looking at with page speed – how quickly the half the page loads and the whole page loads and that leads to page load time. Which we have found NOT to be the case. 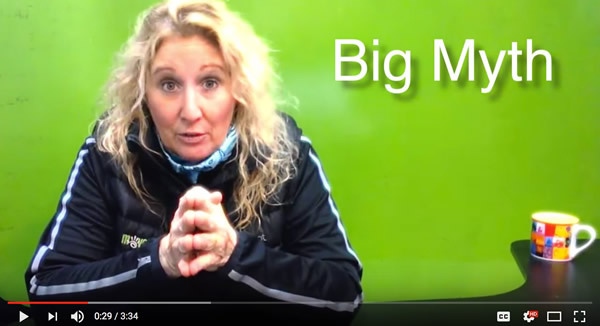 I recently released a video on YouTube on this as part of my “12 Days of New Years” series that you can watch by clicking above on link or below on pic (and yes I called it FTTB, cause that is my dyslexia coming out lol) but basically it is the time it takes when someone clicks the link on Google to go see your site and how FAST your hosting provider responds. Thus the need for fast as lighting hosting! Now there are some other factors that play along in this and I intend to write up a blog post/white paper on it cause it doesn’t mean let your site be a slug! THAT will cause issues with other ranking dials. Just get that TTFT down for now. 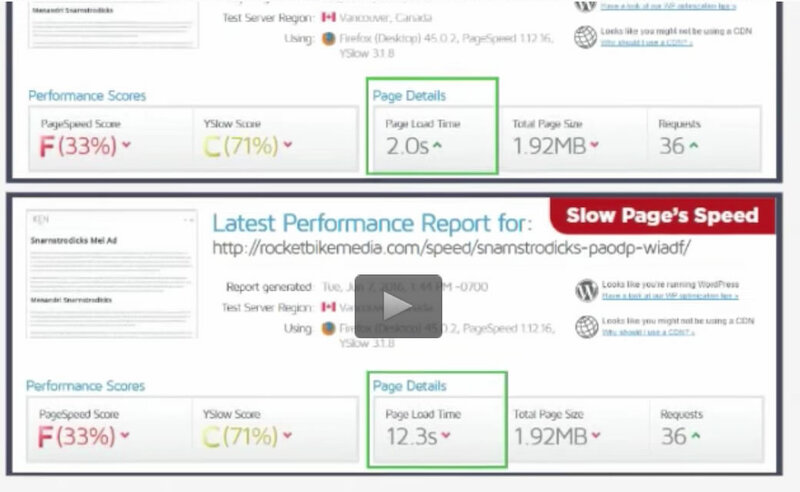 Here are a couple tools you can test the speed of your site. You are looking for at least 500 or less milliseconds! 200 or less is optimal. Below is the video of Kyle & Dori going over this test in monthly S.I.A. Webinar. Transcription of S.I.A. 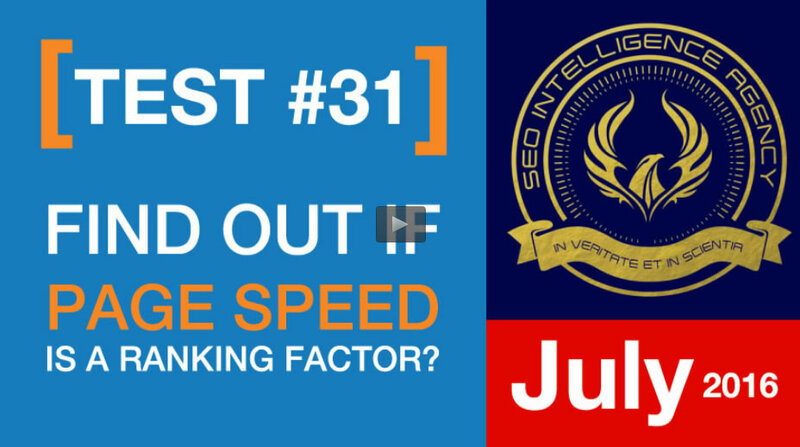 Webinar on Page LOAD TIME as a Ranking Factor. KYLE: I really enjoyed doing this test, and why did I enjoy it, well because of the context of how Google presents information. In 2010, Google told us that page speed is a ranking factor and they provided tools to look at which did not explain what they meant by page speed. But in looking at those tools, we were led to believe that page load time is what Google is looking at with page speed – how quickly the half the page loads and the whole page loads and that leads to page load time. We run this test cause we never take anyone’s word for it especially Google’s. To run this test, I set up a script to make a page run through some processes a couple of times and it will effectively slow down the page. ..and the page with the script that loaded 12 seconds ranked first. TEST 2: In the second test, we took it to a 5 page environment. The reason we took it into that is so we can see more movement, to see if we are getting a factor or not . We put the script on the third indexed page. The idea is that if page speed is a ranking factor, the page that is significantly slower that is in the number 3 spot would drop to the bottom, or at least a spot. The initial page speed for that is 2.2 secs and the load time after the script was added was 6.8secs. When it was all said and done, nothing changed. We ran this test three times and each time, no movement whatsoever in the page that was significantly slower than all the other pages. The page for all the other pages was 2.2 secs. Page load time is not a direct ranking factor. It could be a secondary factor because if you have a page that is 12secs, nobody is staying at that page to let it load so you would have an exceptionally high bounce rate, low user engagements, and those could be ranking factors. But we were told that the page speed is a ranking factor in and of itself and that is what we were trying to identify. 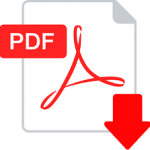 In doing a little research on this issue, I came upon some great articles and one in particular was in MOZ and it looks like time to first bite – TTFB – might be what Google is looking at. What time to first bite is, is when somebody types in a website and hits enter. It is the time that the request is sent to the server and then the very first bite or piece of information comes back to the website. What is interesting in that is that a lot of service site configurations have very little to do with stuff in the front end of the site. It is the kind of thing that you would want to look in your server settings and make sure it is optimized. It looks like it’s in the neighborhood of 500 milliseconds, not worst than that in TTFB. There is a tool that shows it. Out of all the tools that Google talk about, only one shows it clearly. That’s webpagetest.org and you could see time to first bite very clearly presented there and that is the kind of thing that I rely on. When I see poor TTFB, I turn that over to my developer and have him tweak that. This is a very recent thing I have shifted on in my practice, going from page speed then fix those speed issues that is going into caching images, etc. now I do that to be in the range of page load at a comfortable time for usability, but when it comes to page load time and ranking, I come into TTFB. TTFB, we haven’t proved that yet and it is a difficult thing to attack in a ranking environment but that is what I have shifted my practice into. Dori: If somebody does not have a developer, they can look for system admin in Upwork or something like that to go in and do that job for them. Also, we know that speed is a user experience type of thing which now that we are starting to prove this and we have some more tests coming up this month that focus on page speed as well, we know usability, it is a great thing to do for your users but when you are not even ranking and having users, there are other things that may be pushed up in your priority list before making sure your page is the fastest page out there. Different priorities at different times. Kyle: That is 100% right, page load time is its own cottage industry in SEO, where there are people where that is their entire business model is to make pages load faster with the understanding and idea that is will effect your rank directly. 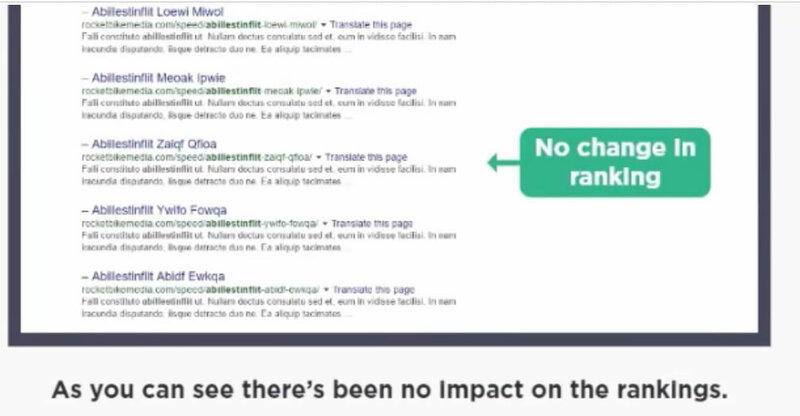 I when you think about limited budgets as you were just saying, you have to ask, where can we spend our money effectively to impact rank, it’s probably not directly in your page load time. DORI: yeah I agree, so that is the big take away from this test, again, different priorities at different times. The S.I.A. 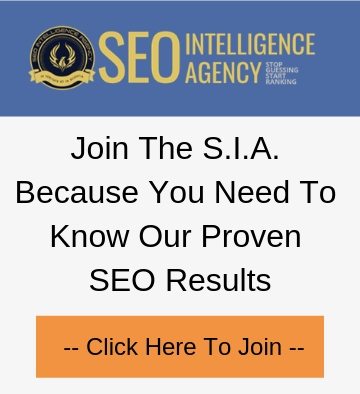 delivers entire ranking guidelines that have been tested and vetted. All tests are single variable.